When booking a holiday there is always some doubt that something may go wrong, I had never used Tropical Sky before but had read really good reviews so went ahead and booked a 9 night stay In Mexico at the Grand Xcaret. From start to finish everything went so smoothly and I can’t rate booking with them enough and especially to Donna Jones who sorted everything out and having 100% outstanding communication, I can’t wait to book my next Holiday with Tropical Sky. As soon as we arrived at Cancun airport and went outside, the views and heat were incredible! Our transfer was already there and we made our way to our resort. Pulling up to the resort the scenery was outstanding and the lobby was amazing… well, the whole hotel and grounds for that matter. I knew from as soon as we got there that we had made the right choice. Hotel check-in was a breeze and we soon got settled in to our room. We were exhausted from the flight so we had a bite to eat and had an early night. Our first day there we explored the whole of the resort which took a while as there is lots to see and it is HUGE. The grounds were amazing and there is wildlife everywhere. We spent the rest of the day swimming in the pool and trying out the cocktails. 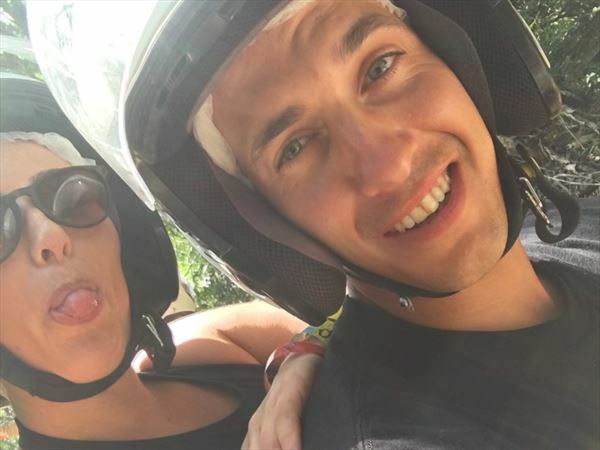 There was loads of food choice and we never went hungry, always had a big breakfast, lunch and dinner... Why not we were on an All Inclusive basis, there was a lot of choice at the buffets and the la carte restaurants, we tried all of them... The Seafood and Italian restaurants were my favourites. We took a few trips and one evening out, there is so much to do, we needed longer there. 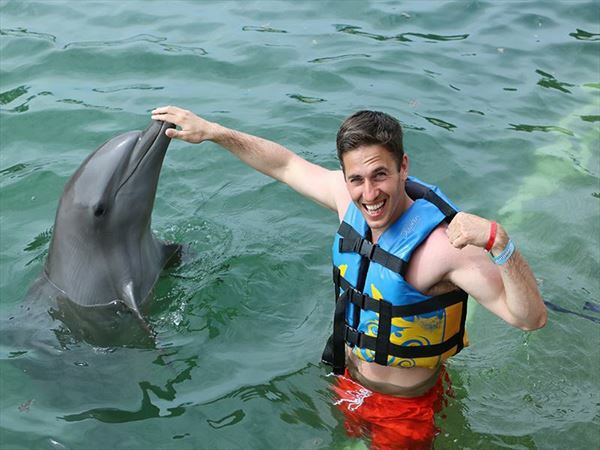 Our first trip was swimming with dolphins, which was amazing, I would definitely recommend this to anyone. 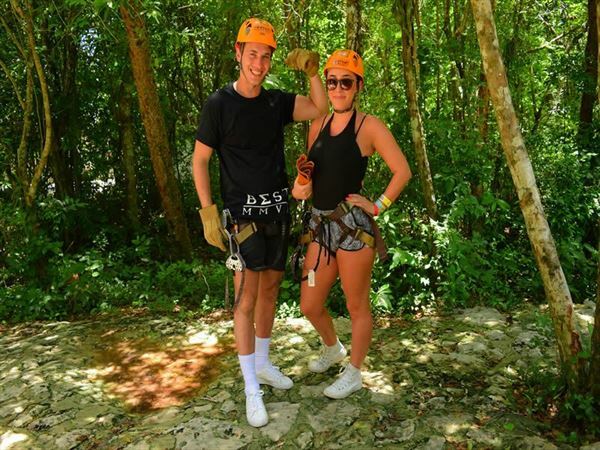 Our second trip was an adventure day, where we first zip-lined over the jungle. It was really scary but I’m so glad I did it. Secondly, we rode quad bikes all through the jungle and arrived at this crystal clear water where we all jumped in. It was gorgeous and my skin felt so soft after. We rode the quads back to camp and had a traditional lunch and finally we went swimming in the underwater caves - which was unreal. There was a rep at the resort who organised a trip to a club called Coco Bongo. We got VIP tickets which gave us our own table and unlimited drinks and were told that pick up time would be at 3am. I thought I would struggle as we had been having early nights from all the eating, drinking and sun, but there was so much entertainment there I could of stayed out longer. It was such a great night. 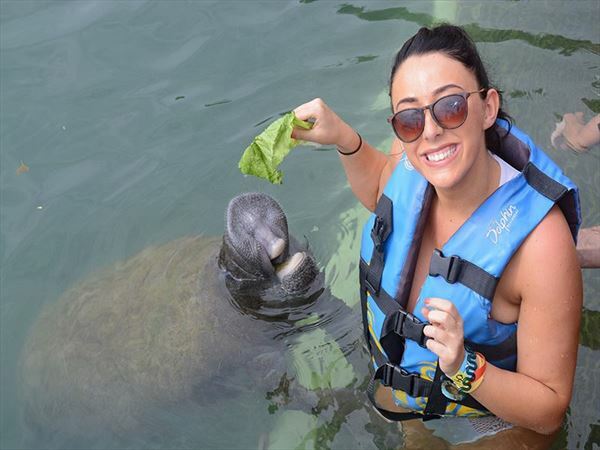 We would like to thank Georgina & Ashley for sharing their story with us and hope to welcome you on another holiday soon.